A story in The Oakland Tribune serves as a disheartening reminder that DUI dangers do not disappear after the holiday season fades away and that Oakland motor vehicle accident fatalities will remain a reality in 2012. As a law firm for Oakland DUI victims, we are saddened by every accident but we are proud to be able to help victims and their families in the aftermath of these tragedies. Salvador Espino, a fifty-five year old from San Jose, has been arrested and is facing charges of driving under the influence, vehicular manslaughter, and other related violations. Reports indicate that he was driving a 2007 Dodge Caravan erratically, pinballing between the center median and shoulder, while reaching speeds over ninety miles per hour. Espino was driving in the northbound lanes of I-680 between Milpitas and Fremont and, in the area of Scott Creek Road, his vehicle struck two cars before veering off the road and slamming into two trees. The impact was strong enough to shear the right side off of the minivan and topple one of the trees. Espino was not seriously harmed but his passenger, another fifty-five year old man from San Jose, was killed and pronounced dead at the crash scene. The driver was arrested, booked, and taken to Santa Rita Jail on suspicion of numerous counts including an alcohol-related charge. As Oakland wrongful death lawyers, we recognize that the law cannot bring back a victim who is killed in a senseless auto accident. We advocate for prevention and education because a post-accident lawsuit is always an imperfect remedy. Nonetheless, we believe that it is important for families who have lost a loved one to reach out to experienced legal counsel to discuss their legal rights. Wrongful death claims are generally filed by the victim’s next-of-kin. These suits are filed in civil court and are separate from any criminal case brought by government authorities. Civil wrongful death suits are focused on compensating those impacted by the accident for their loss. 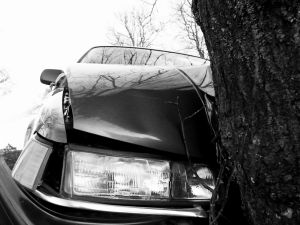 The economic costs of a fatal accident can be very high and a court can award damages to cover these expenses. This can include final medical bills and funeral costs as well as the loss of the victim’s income and the value of any benefit packages carried by the victim. California law recognizes that the loss of unpaid household assistance, including child-rearing, is also a very real economic loss and the value of these services can be included in a wrongful death verdict. Although it is a much harder value to quantify, the court can also award damages for non-economic results of the loss such as the loss of love, companionship, and sexual relations. Where the conduct is especially egregious, a court may also include punitive damages to punish the offender and deter future violations. Passenger fatalities may raise complex emotions. Where the driver who caused the accident was known to the victim and perhaps to the remaining loved ones as well, the grief of loss can be compounded by a mix of anger and concern for the driver. We appreciate these complexities, having worked with victims for many years. It is important to care for your emotional health and that of your family, addressing both the feelings of loss and the feelings towards the wrongdoer. It is, however, important to remember that legal recovery is your right. It is not selfish. It is not unfair to bring a wrongful death claim against someone your family knows. The losses are real and there is a reason the law provides compensation. After a loss, please take care of yourself and your loved ones. Please seek any psychological support you may need. Please also protect your legal rights by calling our law firm to discuss your Oakland wrongful death claim.